The new DS Eagle is about originality, exclusivity and tackling even the toughest situations at work and at play, not least thanks to its large dial and a hard-wearing, screw-down bezel with carbon inserts. 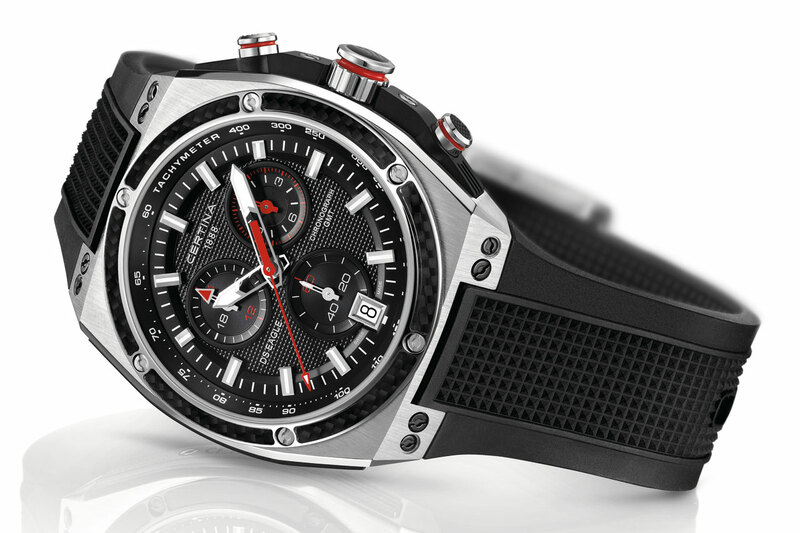 Water-resistant to a pressure of 20 bar, this chronograph comes with a black textured rubber strap with screw detailing and red-rimmed pushers. The DS Eagle provides essential functions at a hard-to-beat price, including a second time zone with a 24-hour display for keeping track of schedules both home and away.